C.M. Life Insurance Company was founded in 1980 as a provider of life insurance and annuity products. The company is based in Enfield, Connecticut and has been operating as a subsidiary of the Mass Mutual Group since a 2002 acquisition. Although C.M. Life Insurance does not sell any health insurance products in and of itself, Mass Mutual does. For the purposes of this review, we will include both companies and what they offer. For a quick look at health insurance rates in your area into your zip code now. It must be noted that the health insurance provided by Mass Mutual is, by design, supplemental coverage. Neither Mass Mutual nor C.M. Life Insurance cover health-related costs in the same way a traditional HMO would. What they do provide is insurance in two forms: long-term care and disability income coverage. They also provide trust services to help individuals and families protect their assets in the event of a long-term disability or illness. Mass Mutual and its subsidiaries provide their life insurance policies through banks, credit unions, and local agents. This business model allows the greatest flexibility in reaching their customers and tailoring policies to individual needs. Local agents are the strongest in this area because they have several different companies and policies to work with. They are able to listen to customers, understand their needs, and find the best policy for them at the best price. To find a C.M. Life Insurance or Mass Mutual agent you may simply visit the corporate website and use their agent locator tool. You may have trouble finding the tool because the word “agent” is never used. Rather, the Mass Mutual website refers to them as “financial professionals”. Nonetheless, the tool allows you to enter your zip code or state as well as the amount of distance from your home you want to search to include. Entering an upstate New York zip code for this review yielded three agents, while a popular Southern California zip code yielded nine. Information about filing a claim with Mass Mutual or C.M. Life Insurance was a little more difficult for this review then one would normally expect. In fact, the link to the companies’ claims service was buried under several layers. Once it was found, we learned that the website directs policyholders to fill out an online form to which the company will respond by sending a claims package in the mail. The claims package contains all of the forms you will need and detailed instructions to help you enter your information. The website also provides a toll-free number for customers who are unsure of what kind of policy they have or who do not have the policy number on hand to enter into the online form. It is assumed you could use the toll-free number even if you had all the information but chose to speak with a representative instead. It does not seem likely that claims service can be initiated through C.M. Life Insurance or Mass Mutual independent agents. Mass Mutual and C.M. Life Insurance offer career opportunities as either a local agent or a corporate employee. 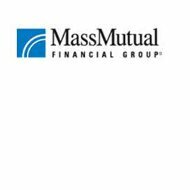 The Mass Mutual website has a careers link that will get you started in the application process. If you are interested in being a Mass Mutual agent, the website offers an introductory video explaining the benefits of becoming a local agent. There are then the three sections pertaining to the agent application process that will help you do things correctly. If you would prefer to be a corporate employee, you are directed to a job search section, which requires you establish an account in order to post a resume. The job search section includes a complete list of current openings along with job description, employment requirements, and instructions on how to submit your resume. The careers section also includes a short description of the Mass Mutual work environment, compensation package, and benefits. Enter your zip code below to get access to online health insurance rates from companies near you.